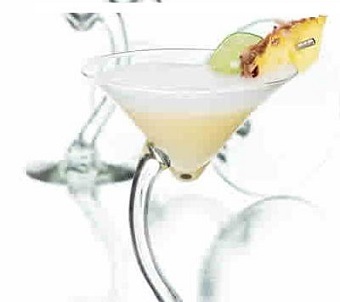 This drink recipe is named a Surfer Martini for obvious reasons: coconut cream, banana liqueur and pineapple and cherry garnish. 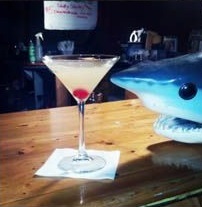 If you like a sweet drink on occasion, this martini will get the job done. I usually serve this martini recipe a while after a dinner, kind of in place of a dessert. One of the fun things about vodka is that you use such beautiful glassware for many of the drinks made with the spirit. With certain cocktails and certain people, the glassware you use is almost as important as how you make the drink. If the cocktail is not served in the proper glass, some people get upset. I am certain a guest in your home would never raise an objection if you used an "improper" glass, but paying guests will do so at the restaurant. Enjoy your Martini recipe and the company of those you share it with! Did you know? The word "vodka" was recorded for the first time in 1405 in court documents in Poland.